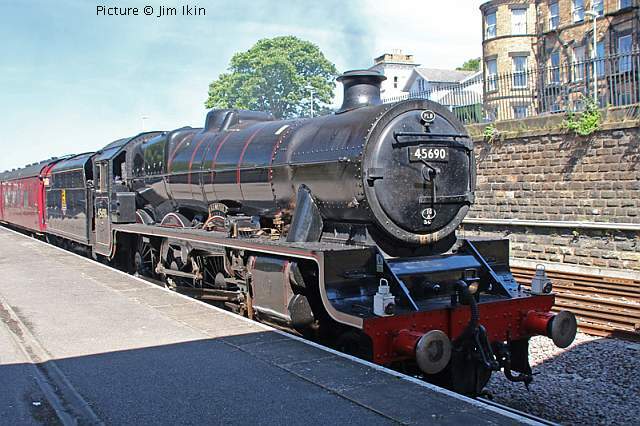 6990 Witherslack Hall at Ramsbottom on a visit to the East Lancashire Railway, 17 June (Greg Mape). 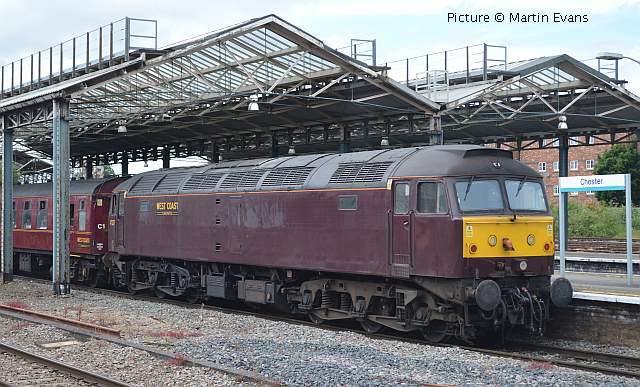 This loco will be rostered over the next few weeks: see the ELR website. 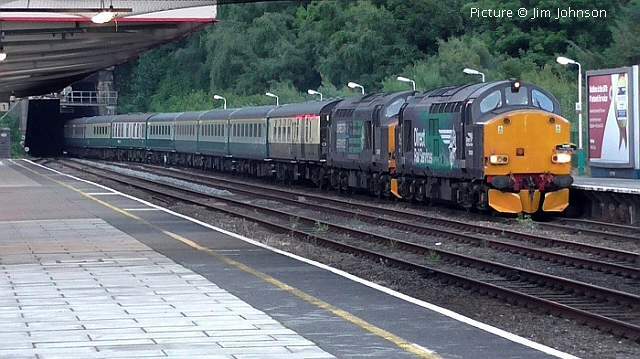 The Three Peaks train was hauled by DRS 37 609 + 37 605, and composed of 11 coaches, mostly late Mk2 FOs, with a Mk1 Buffet and converted Mk1 BSK. Above: the train, 1Z51 19:12 Crewe-Bangor, arrives at 21:36, 1 minute early. The coaches look good in BR blue/grey colours. A pleasingly volcanic departure, as 5Z51 ECS to Holyhead, right-time at 21:41. 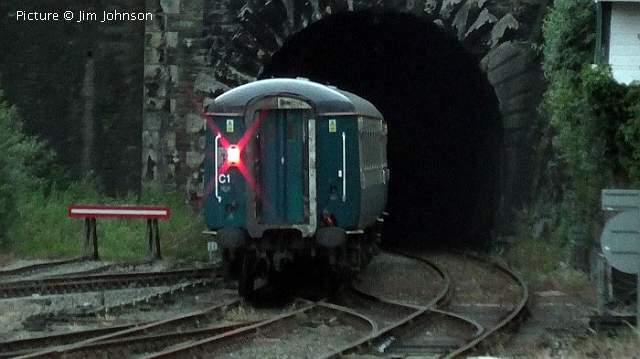 Nice to see the tail of a 'proper' train, late Mk2 FO with tail-lamp, disappearing into Belmont Tunnel. 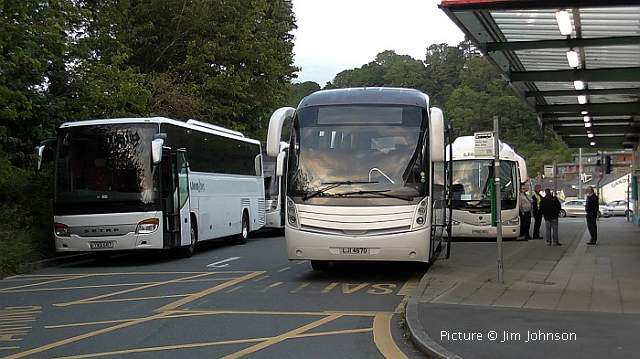 Llew Jones coaches were awaiting the train's arrival to take the participants to the starting point of the climb of Snowdon, which is done up and down in the dark before returning to the train for transport to Cumbria for Scafell Pike and then Fort William for Ben Nevis before returning to London. 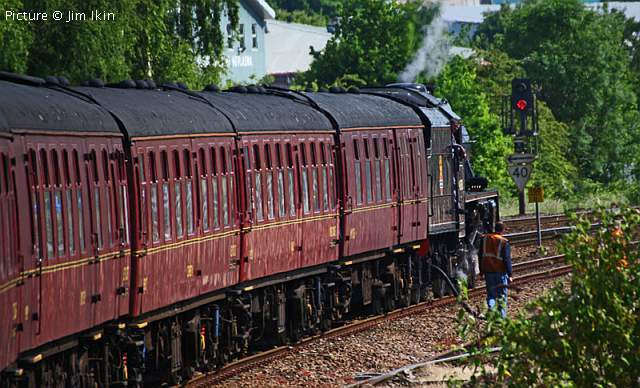 The train raises money for The Railway Children charity. If any reader took part in the event, let us know the address of your donation page! 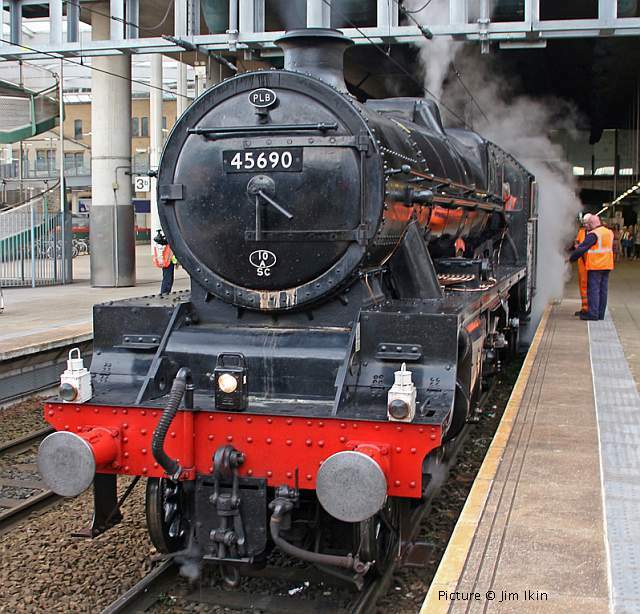 Everyone else, including foreign tourists and Greater Manchester locals aged 60 - 63, must buy the £13 adult ticket or the equivalent group and child versions where appropriate. See the TfGM website. Details of this penny-pinching rule do not seem to have reached every ticket office at the time of writing. The International Mersey River Festival returns for another 'action packed' weekend on 24 & 25 June. This year Armed Forces Day will be along for the ride adding naval vessels and Red Arrows fly-pasts to the waterfront. The waterfront will play host to a variety of activities throughout the weekend including marching bands, boat races, polo tournaments, Jet Ski stunt displays and historical ships, bringing the river in the heart of Liverpool to life, and bringing crowds of people by train. 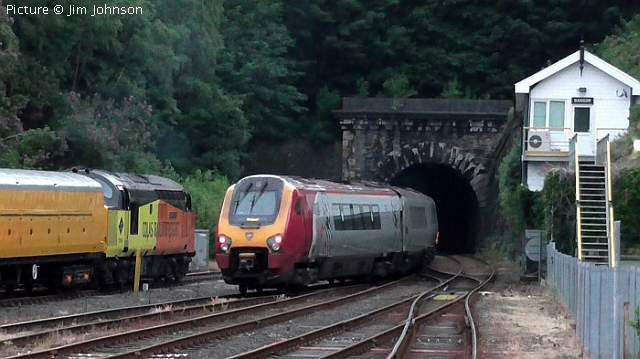 Fortunately, the Wirral Loop line has re-opened on 19 June after weeks of closure for engineering works. Even so, if you don't want so see the festival, we'd advise you to keep well away from Merseyrail routes. 45690 Leander travelled to Scarborough from Manchester Victoria on 17 June and I was lucky enough to be onboard although walking up the hill in 30 degree heat to Scarborough Castle was hard going! 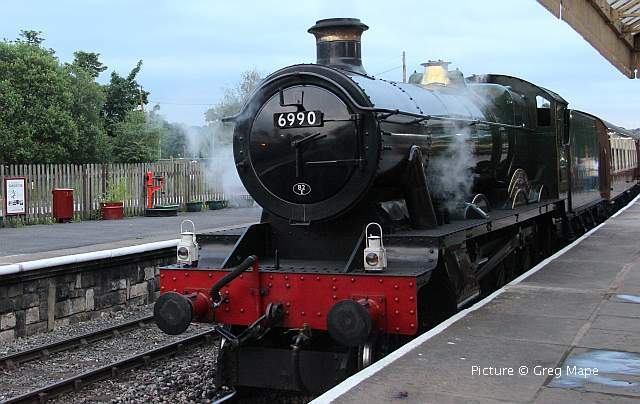 Leander started at 2.30am from Carnforth and arrived to pick up the first passengers at 6.40 am - Pictures above. 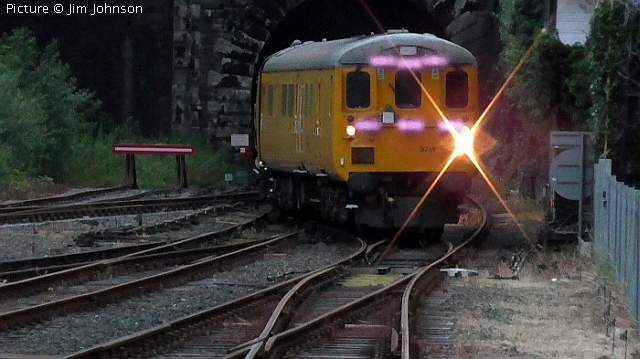 After 'dropping us off' at Victoria, Greg Mape took this picture from a point just off Rochdale Road in North Manchester. It was announced on board that Leander was running low on water and a tanker was brought south to just north of Sheffield for a ‘top up’. On the blocks at Scarborough; as can be seen work is being carried out on the platforms. 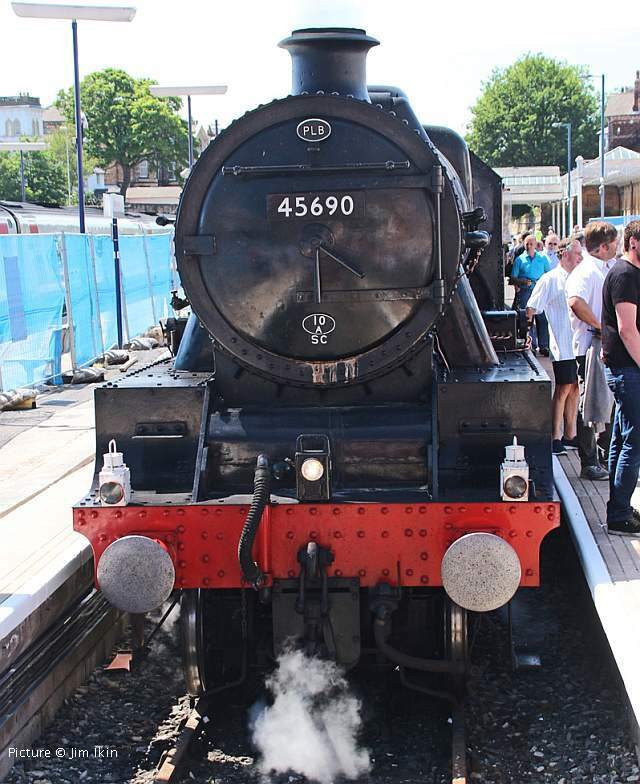 After turning on the turntable just outside the station Leander was ready to depart at 15:58. 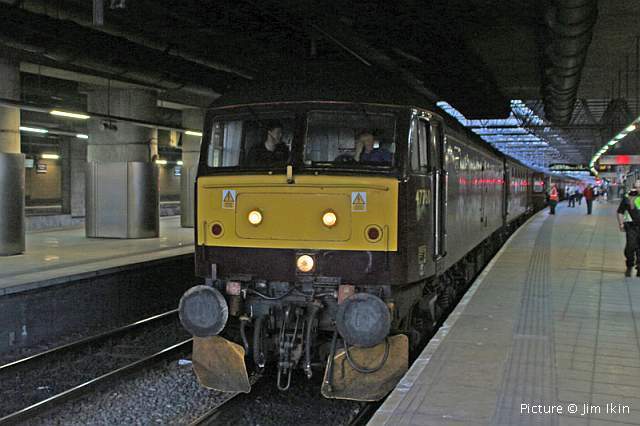 ... to be replaced by a West Coast Class 47, and arrived back at Manchester (above) nine minutes early at 20:47. 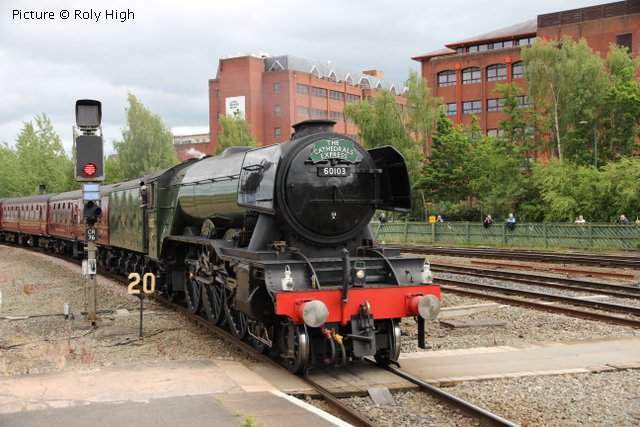 Steam superstar 60103 Flying Scotsman arrived at Chester on 13 June with a 'Cathedrals Express' from London. 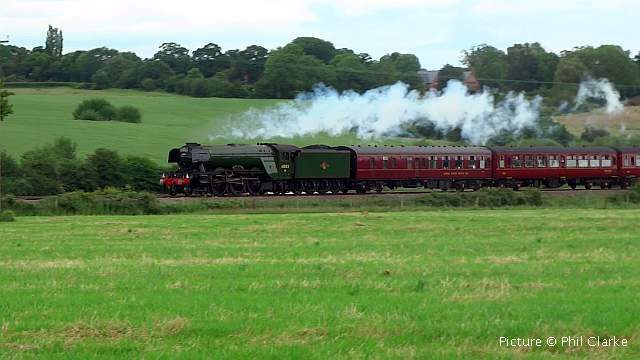 Phil Clarke captured the train near Beeston Castle. Arriving at Chester (Roly High). Preparing to turn on the triangle at Chester and run round before taking on water from a tanker whilst stabled in one of the sidings near Chester Power Box. Picture by Martin Evans. 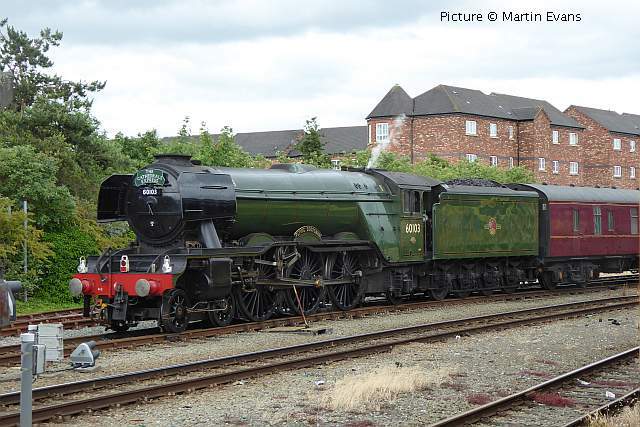 47 237, attached to the rear of the Cathedrals Express in Chester; this loco was to return the tour to Reading alone. 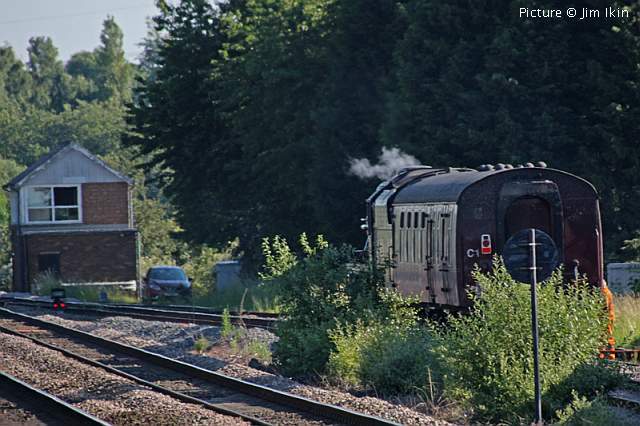 'Steam one way, diesel back' seems to be 'trending' with steam charter operators this summer (Martin Evans). 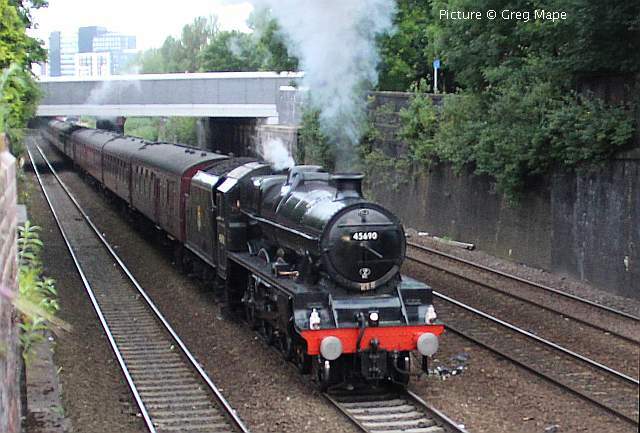 After leaving the train at Chester, returning back to Carnforth with its support coach, passing through Keckwick; Norton water tower is in the background (Phil Clarke). 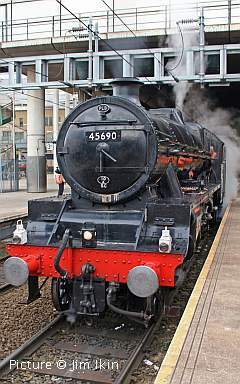 On 13 June, West Coast Railways 'The Dalesman' tour from Chester to Carlisle travelling both ways over the Settle to Carlisle route departed Chester with 47 760 and 47 245, picking up passengers at Frodsham, Warrington Bank Quay, Wigan and Leyland, then travelling to Carnforth (where LMS Stanier Class 2-8-0 locomotive 48151 was attached to the rear of the train) then onto Hellifield where the diesel locomotives, were removed allowing steam haulage to Carlisle and return to Hellifield. 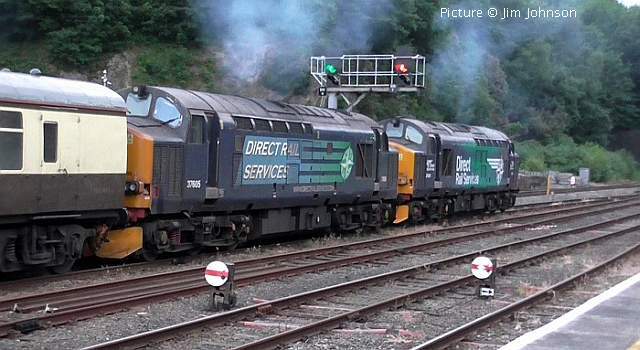 The return to Chester was diesel hauled and routed via Clitheroe and Blackburn. 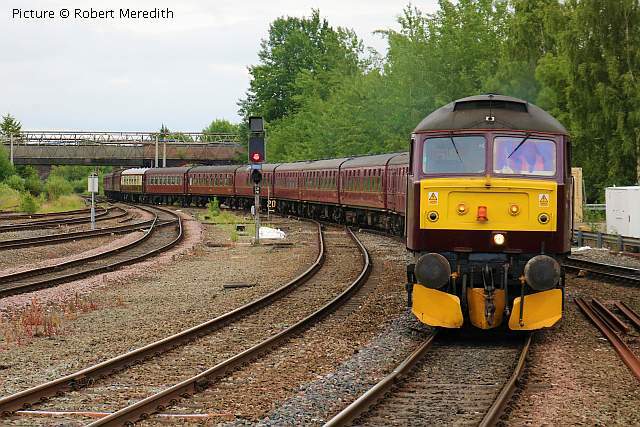 Above: West Coast Railways Class 47 locomotives 47 245 and 47 760 arriving at platform 3 at Chester with the empty coaching stock from Carnforth. 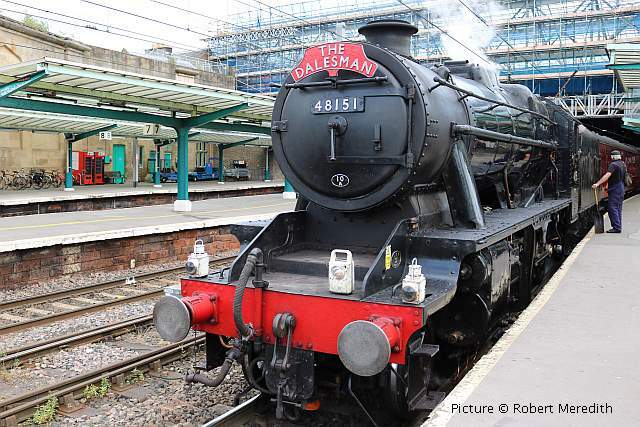 48151 at Carlisle station having put up a splendid performance on the northbound run by driver Mick Rawlings. A change of crew was now required and the fireman equipped with with his own shovel awaits his driver. 48151 sets off with Driver Mick Kelly to shunt the coaching stock, turn and service the locomotive in preparation for the southbound journey back to Hellifield, both passengers on the train and those viewing and photographing lineside were to witness an impressive performance from both footplate crew and locomotive especially as it climbed to the summit of Ais Gill, the highest point in the line at 356 m (1,169 ft) above sea level. 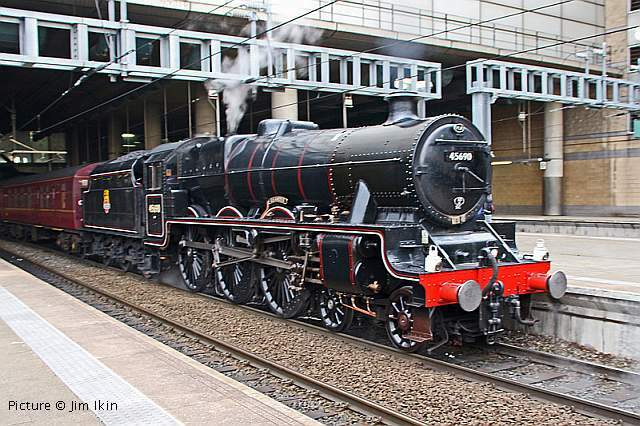 Further Dalesman tours from Chester are scheduled for Tuesday's on 27 June, 18 July, and 15 August. The second part of Tony Robinson's detailed feature on the Great Western's Wirral lines is in the new issue of Backtrack magazine, now on sale. 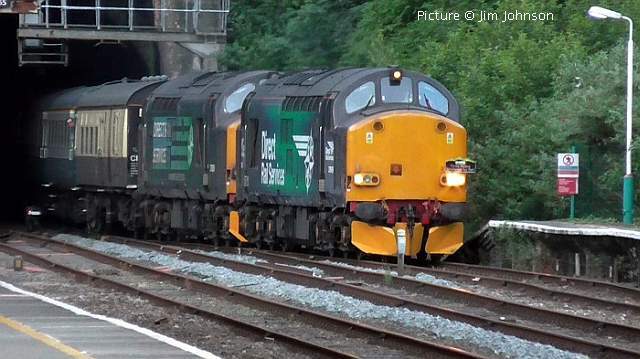 A Network Rail track recording train was stabled in the engineer's sidings (former Platform 4) at Bangor on the evening Wednesday, 14 June. At the east end of the train was Driving Trailer 9714 (all pictures taken from legal positions). The train had left the LNWR depot at Crewe at 22:28 the previous evening, and worked to Holyhead and back to Bangor, arriving at 05:34. 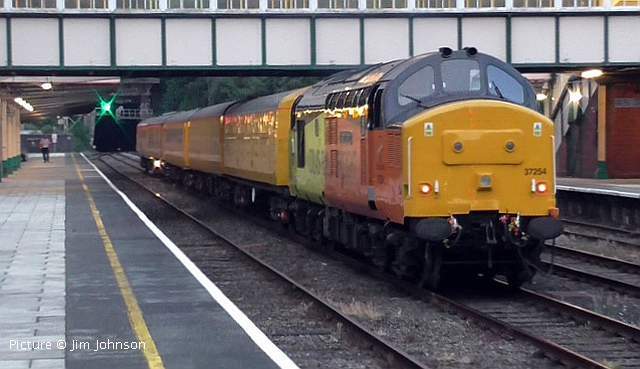 Traction power was provided by Colas Rail loco 37 254, which in April 2017 gained the name Cardiff Canton, previously carried by 37 422. The Pullman Rail servicing company, part of the Colas Rail Group, operates from part of the Canton depot complex. 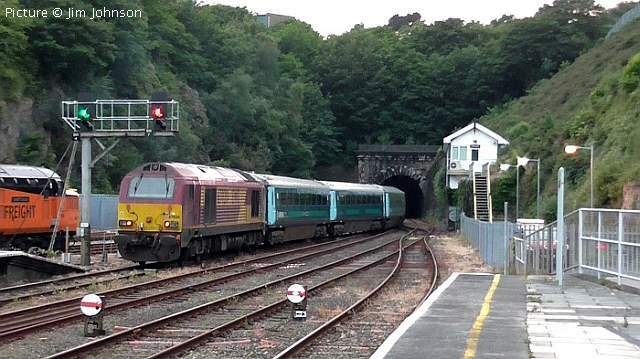 Above, 67 020 passes at 21:20, propelling 1W96 17:16 Cardiff Central - Holyhead at 21:20. 221 114 on 1D91 17:10 Euston-Holyhead passing 37 254, after it had moved up to the ground signal protecting the exit from the sidings. The ground signal pulled off, after 1D91 was safely out of the way. The lower disc showing 'proceed' indicates that the right-hand of two possible routes is set. 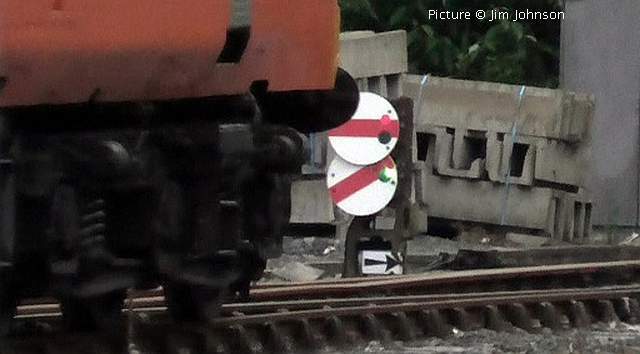 alongside the points, shows The signal is positioned alongside the pointwork, as it applied to movements from either of the two sidings. Moving into Belmont Tunnel. 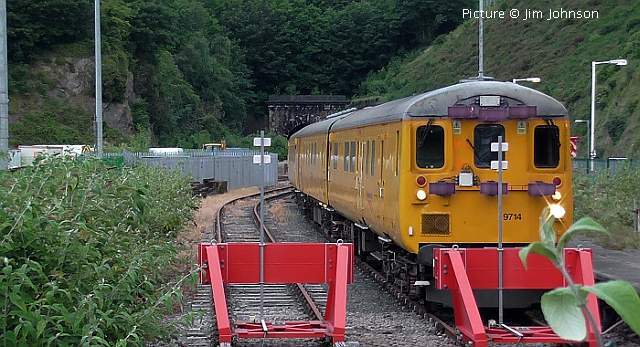 Note the former Motorail vehicle behind the loco: several of these have been converted for Network Rail use. ... with the video lights on 9714 lit. 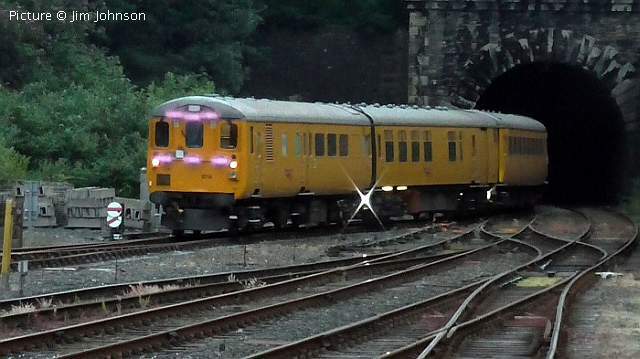 7) Crossing over onto the Up main at 21:37, 7 minutes ahead of its booked departure time at 21:44 to Cardiff Pullman Rail via Chester, Crewe and Shrewsbury. 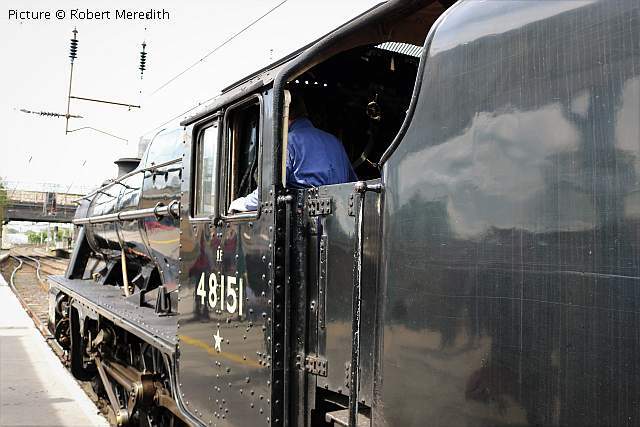 Departure on the Up Main with 37 254 propelling. 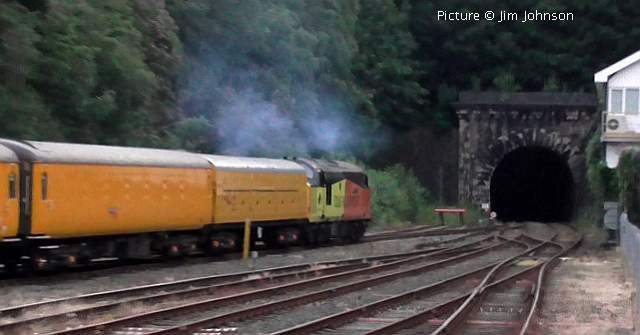 This loco was in preservation, on the Spa Valley Railway, before being purchased by Colas in 2015. It was allocated to Canton depot when first built in 1965.